Personalised Someone you love celebrating a big birthday? 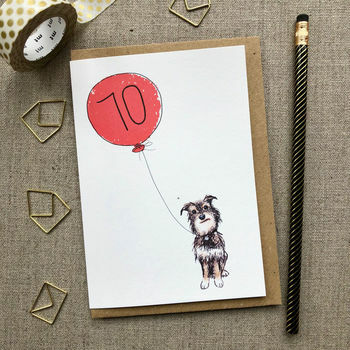 If they love dogs, they'll love this card. Great for men and women, featuring a cute scruffy terrier, these cards are perfect for the dog lover.